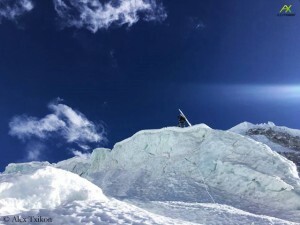 It is a long and hard way up to the 8850-meter-high summit of Mount Everest – all the more in winter and if you want to do it without bottled oxygen. And Alex Txikon and his teammates are just at the beginning. 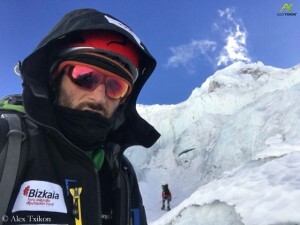 The Basque, his Spanish companion Carlos Rubio and nine Sherpas have begun to find and fix a route through the Khumbu Icefall. “Honestly, it’s what I’m afraid of climbing Everest, I do not want us to get stuck and we’re equipping it for a month”, Alex writes in his blog: “We are working hard, we have to climb a lot of stairs. In short, we have to equip a labyrinth of ice blocks. The terrain “is technical, difficult and demanding,” says Alex. 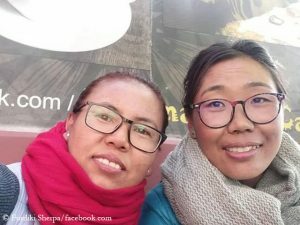 I sent three questions to Everest Base Camp. Alex, after your winter success on Nanga Parbat in February 2016 you now tackle Mount Everest. 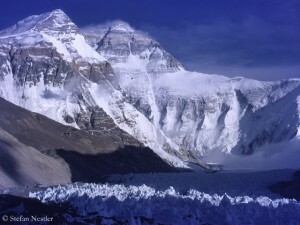 Which challenges do you expect on the highest mountain on earth and how high do you estimate your chance of success? We will have very few possibilities to reach the summit, as on Nanga Parbat in winter 2014/15 and in 2015/16 when we were successful. So we’ll try Everest, we’ll do our best. From my point of view, it’s a success to reach Camp 2 (at 6,400 meters), because the Khumbu Icefall is not easy for the eleven climbers. Ang Rita Sherpa has been so far the only man who climbed Everest in winter without bottled oxygen, under unusual good weather conditions on 22 December 1987. What makes you optimistic that you can follow in his foodsteps? First of all, Ang Rita is one of my heroes because he summited Everest ten times without oxygen. He was one of the most charismatic and talented climbers in Nepal in the 1980s and 90s. Of course he summited in (calendrical) winter, but he ascended only five hours in winter. 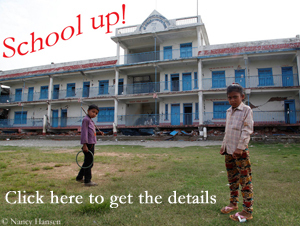 They reached the Base Camp in October, that’s not the same as when we start here in early January. The conditions are much harder than in 1987. That’s for sure and we know that. I am 35 years old and have enough experience. 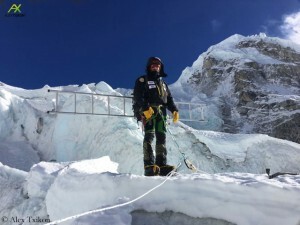 And I am not alone, I am here with Carlos Rubio and nine Nepali climbers. 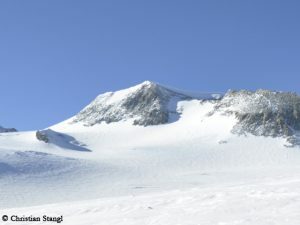 So we hope to reach Camp 2 with eleven climbers. And then we will see the next step for the next team above Camp 2. We’ll have not to many possibilities. But we have enough experience. I think that we can do it. You will climb with your countryman Carlos Rubio. Why didn’t you choose a partner who is more experienced on eight-thousanders, especially in winter? He is a young climber and so motivated. As they formerly did with me, I give him an opportunity and a chance. I am so proud about the new climbing generation in the Spanish and Basque community. That’s the future because step by step, generation by generation, the challenges will be improved, in the Himalyas, in the Alps, in rock climbing. I think the young climbers have the power and the future. From my point of view, of course, I can not say that Carlos has experience in the Himalayas. But he is super strong, a really good climber in the Alpes, the Pyrenees and the Picos de Europa (a mountain range in northern Spain). Especially in the Alpes he did hard ascents. So that’s why Carlos is here with me.